According to a 2017 news report, Pakistan had become the third largest importer of cooking oil, and the fourth largest market for cooking oil after China, India and United Arab Emirates. So in recent years, many customers from Pakistan came to Doing Company to visit cooking oil making machine and edible oil refinery machine. We also know something about cooking oil industry in Pakistan from our customer. Pakistan is an agricultural country with a population of 155 million, the seventh most populous country in the world. Domestic production of various cooking oils is around 6.86 MMT per year, which is not sufficient for domes-tic requirements, so substantial amount of foreign exchange is being spent on the import of cooking oils. Therefore customer think it is very suitable to start cooking oil production business in Pakistan. In Pakistan, the oil seeds have cottonseed, canola, rapeseed and sunflower seed. But the local production of cooking oil in Pakistan is mainly from cottonseed. Although the domestic cotton cropis mainly grown for lint, it contributes over 70% of local cooking oil production as a by-product. In spite of the fact that the size of the domestic cotton crop has shown substantial increase over the last 50 years, the availability of cottonseed oil remains far below the domestic requirement of the growing population. The total annual production of cottonseed in Pakistan is around 34.16 MMT whereas the figure for production of sunflower, canola and rapeseed are 3.46 MMT, 1.59 MMT and 2.38 MMT, respectively. 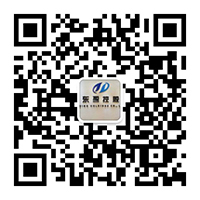 Whichever oil seeds you want to process, Henan Doing Company can design the most suitable processing technology for you. If you also think it is good to start cooking oil production business in Pakistan, you should do some preparation. 1. You should find a piece of land for putting cooking oil machine. Open land is just OK, closed building with suitable height will be much better. 2. To choose a good cooking oil machine manufacturer to get quality guarantee. 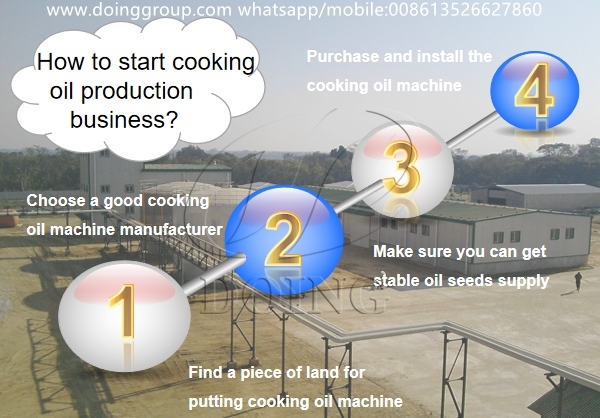 If the cooking oil machine you installed has many problem in production process, it will bring some troubles to you. 3. Make sure you can get stable oil seeds supply in Pakistan. 4. Purchase and install the cooking oil machine. During the machine installation, Doing Company will send engineer to debug and do machine commissioning. Next:How to choose palm oil processing machine manufacturers? If you wanna to get more details about Why so many customers want to start cooking oil production business in Pakistan? you can send E-mail to market@doinggroup.com. You can consult our professional engineer and specialized sales team with leave a message in below form.We will contact with you ASAP.You also can visit our factory in Henan,China.Get Detailed address.